Existing studies that have identified an increased risk of sleep problems in children with intellectual disabilities have often included, in one group, children with neurodevelopmental disorders caused by different genetic syndromes or social and communication disorders. The type of neurodevelopmental disorder may be important in the study of sleep disturbance. This is the case for other behavioral and social communication difficulties, as the profiles of these difficulties, such as the combination of problems and the proportion of children they affect differ between neurodevelopmental disorder groups according to a previous study by researchers from the Cerebra Centre for Neurodevelopmental Disorders. We sought to build on previous research in a new study, funded by Cerebra and published in Journal of Neurodevelopmental Disorders. This used parent questionnaires to identify whether children with different neurodevelopmental disorders (such as Angelman syndrome, Smith-Magenis syndrome, Tuberous Sclerosis Complex, or autism) differ in the severity and combination of sleep problems when compared to children without a neurodevelopmental disorder. 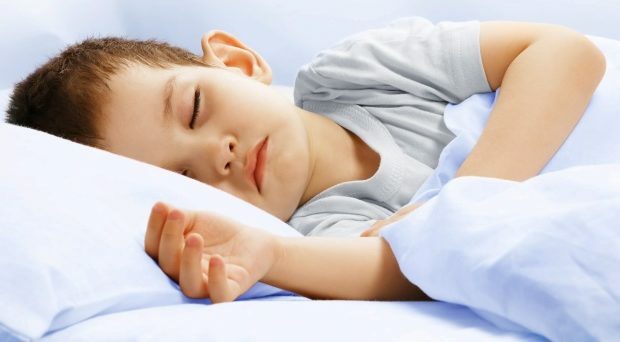 We looked to identify whether the cause of a child’s neurodevelopmental disorder (genetic or not) may be an important determinant in the symptoms of their disturbed sleep. We found that sleep problems occur more frequently and more consistently in certain neurodevelopmental disorder groups. We found that sleep problems occur more frequently and more consistently in certain neurodevelopmental disorder groups. For example, at least 73% of children with Smith-Magenis syndrome experience severe night and/or early morning waking. In contrast, a smaller proportion of children with Angelman syndrome (46%) and autism spectrum disorder (43%) experienced severe night waking problems. Children with Smith-Magenis syndrome, Angelman syndrome, autism spectrum disorder and tuberous sclerosis complex had higher scores on the night waking, parasomnias (abnormal behavior during sleep), and daytime sleepiness subscales of the questionnaire. Children with autism spectrum disorder predominantly experience difficulties with night waking and falling asleep. Children with Smith-Magenis syndrome primarily experience night waking, early morning waking problems, and behavioral symptoms of sleep disordered breathing. Children with Angelman syndrome primarily experience night waking difficulties, followed by early waking problems and behavioral symptoms of sleep disordered breathing. There was also an association between sleep disturbance and existing painful health conditions for the Angelman syndrome and tuberous sclerosis complex groups. A syndrome-specific approach to assessing and treating sleep disturbance could therefore include assessing children for painful health conditions. This example highlights how known health and behavioral phenotypes of different neurodevelopmental disorder groups may present added risk for poor sleep. The authors also found different associations with over activity and impulsivity, health, and gastro-oesophageal reflux with sleep disturbance across the groups. This suggests that while children with diagnosed neurodevelopmental disorder are general more vulnerable to sleep disturbance, specific profiles of sleep problems are evidenced for different neurodevelopmental disorder groups. Therefore, we found that the cause of the neurodevelopmental disorder and its associated phenotype may have specific mechanisms which underpin sleep disturbance in each group. 0 Response to "Exploring sleep problems in children with developmental disabilities"